Siren watched the door to her newest prison open. She recoiled and rebuked her captor’s every move. Once he tossed the decanter onto the desk and advanced on her, she scurried for the bed’s farthest end. Lochlanaire throttled her right hand and drew it outward. His biting hold never wavered, however, and as her eyes brushed his scarred wrists that irons once trussed, Lochlanaire tore the ruby ring off her finger. “You kidnapped me. You should know who I am,” she reprimanded. “I never saw the tyrant until he came to the Virginian in Norfolk,” Siren admonished. “The Virginian?” Lochlanaire removed one silk shirt from a shelf. He unlaced the soaked shirt that clung to his body and divested himself of it. The witchery of his eyes captivated hers and then Siren’s gaze caressed his chiseled flesh, which tapered to his waist. Lochlanaire’s shirt was thrown to the captain’s chair. Siren’s breath wrenched, her glance touched the flog scars that desecrated his body. Lochlanaire turned his body away so she couldn’t see his chest or back. “No, I’ve never met him. My mother gave me the ring. It was a token of his love for her. I command my ring’s immediate return,” she ordered. Lochlanaire never uttered a word. Siren dared his piercing scowl. Lochlanaire vaulted onto his feet, dropped the decanter upon the desk, ignored his captive and retreated to the door. Lochlanaire strode to her. He clutched the neck of Siren’s shirt, his eyes seared hers, and then they fondled her heaving breasts. Siren breathed greedily, searching his fiery stare that journeyed to hers. Siren’s lips challenged. Lochlanaire pushed her to sprawl across the bed. Hunching, his arms splayed around Siren’s sides. He snarled, “No.” Spinning, he walked to the door, unlocked it and departed. Siren faltered to sit and crept a hand to her racing heart. My God, what sordid trap had she stumbled into, and why did her flesh quiver under this sorcerer’s eyes? I’ve been writing stories since I was a very young child. Back then, my writing interests were mainly in a Western genre, owing to my Dad being a HUGE Western movie fan. My mother worked at a local library and one day she brought home several books she hoped would keep me occupied throughout the summer months while I was out of school. Several of those books were written by author Victoria Holt. Needless to say, I was hooked on romance. After I threw out the Western manuscript I had written, I delved into the romance genre with hearty gusto, reading every book I could find. In later years, after marrying a racecar driver, a neighbor tossed an old laptop over the fence in our backyard into my husband’s arms, as he wanted to help with my husband’s racing career. I got curious about the computer, sat down one day and starting writing on the notepad, only to discover, to my absolute horror, that I couldn’t save my work. I bought a new computer and have been writing since. 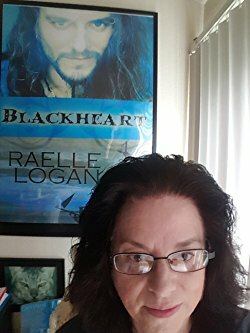 After writing my first manuscript, I realized I wanted to write a book about pirates that was more true to the reality of their real lives than is usually portrayed in books and film. Having only the limited knowledge of what I had seen in paper and moves, I took a year off in order to do historical research, learning about pirates and their ships, weapons, clothing and, language. I even read the WEBSTER’S dictionary so I could use words for the time period I write about. 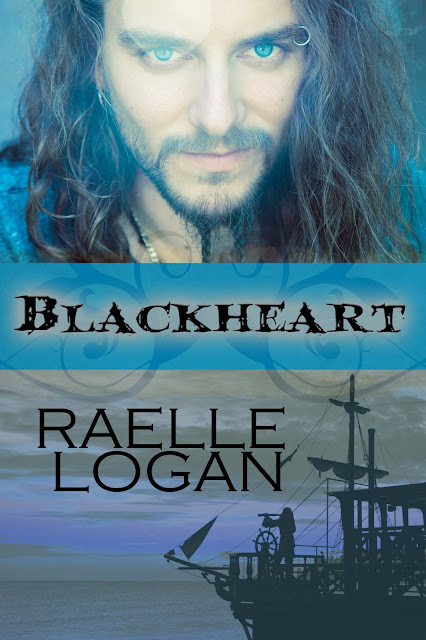 BLACKHEART is my first published manuscript. Currently I live in Littleton Colorado with my husband and our cat Ransom.